When you have a severe toothache or an aching jaw, you need quick care to stop the pain and protect your oral health. Dr. David Kurtzman never wants his patients to suffer from dental pain. Whether you have a decayed or infected tooth or you suffer from TMJ/TMD, call us when you are experiencing pain. We can offer dental treatment and relief for your painful dental issues. Tooth pain should not be ignored. Usually, toothaches or sharp pains are your teeth telling you something is wrong. You may have a portion of decay, a severe infection or a cracked tooth. If left untreated, the cause of your pain could become a more serious problem, even jeopardize the tooth and your health. Our team can diagnose the issue and Dr. Kurtzman can treat the issue to give you relief from the pain while protecting your oral health. We offer sedation and sleep dentistry for our patients that have dental anxiety for comfortable treatment for a painful tooth. Another common reason patients call for an exam is jaw pain. There are several possible causes of jaw pain, including TMJ/ TMD and bruxism. To stop jaw pain, we first need to determine the cause. Often misalignment of the teeth or a missing tooth can cause jaw pain. Teeth grinding and jaw clenching can cause stress on the jaw and pain. Treatments can include restoring missing teeth, wearing a dental nightguard when sleeping and other options. Our goal at David Kurtzman, DDS, is to give our patients excellent dental care in a stress and pain-free atmosphere. If you have dental or jaw pain, call us for a prompt appointment. Dr. Kurtzman and our team can find the cause and offer a treatment solution to give you relief. 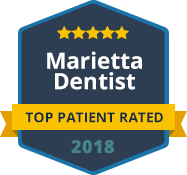 Contact us today to schedule your visit to our office in Marietta.